So excited about this one! Huge thanks to Thomas Dunne Books for sending me this beautiful finished copy of A Gathering of Ravens by Scott Oden, a Norse mythology inspired historical fantasy starring an Orc protagonist. Up next, a couple of surprise finished copies courtesy of Tor Teen: Night Magic by Jenna Black and Firebrand by A.J. Hartley are both sequels to great books I read last year, so I do plan to dive into them as soon as I can. Also thanks to Subterranean Press for this trio of new arrivals: Bubba and the Cosmic Blood-Suckers by Joe R. Lansdale is described as a prequel to the classic story “Bubba Ho-Tep” and looks absolutely hilarious! Heroes and Villains by Lewis Shiner is a collection of three short novels and a fable featuring daring feats of adventure and suspense, and I’m especially looking forward to Penric’s Mission by Lois McMaster Bujold, third in a series of novellas starring the eponymous hero and his demon Desdemona. I love these characters and their quirky dynamic. Inkshares is also coming out with a lot of great titles this summer and fall. From the awesome team at Wunderkind I received a copy of The Punch Escrow by Tal M. Klein, a futuristic sci-fi thriller about a protagonist who gets accidentally cloned during a teleportation machine mishap. There’s a lot of buzz about this one already, and I can’t wait to check it out. Then there’s Sparked by Helena Echlin and Malena Watrous which is a new one for me, but I am already intrigued by its spine-chilling synopsis. Thanks again publisher for putting this dark supernatural mystery on my radar! And speaking of new-to-me books, I was surprised I hadn’t heard of Halls of Law by V.M. Escalada until it showed up on my doorstep, and needless to say I went to look it up immediately. 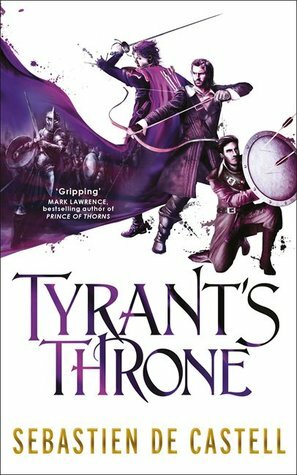 From what I gather, it’s a mix of magic and military fantasy, which sounds sound up my alley. With thanks to DAW Books for the ARC; I’ll definitely be keeping my eye on this one. Also thanks to Saga Press for this finished copy of Season One of The Witch Who Came in From the Cold created by Lindsay Smith and Max Gladstone. I’ve been loving these serialized novels from Serial Box, but I’ve been waiting for this collection to become available so I can binge read all the episodes. Last but not least, a big thank you to Titan Books for sending me review copies of Warlock Holmes: A Study in Brimstone and The Hell-Hound of the Baskervilles by G.S. Denning. I’ve been curious about this series for a long time, and book one is already queued up on my reading list for June. On the digital front, I’ve actually been really good these last few weeks and managed to hold off on requesting anything from NetGalley or Edelweiss, or even audiobooks. The kind folks at Tor.com have been been spoiling me though, turning my inbox into a treasure trove of upcoming gems. 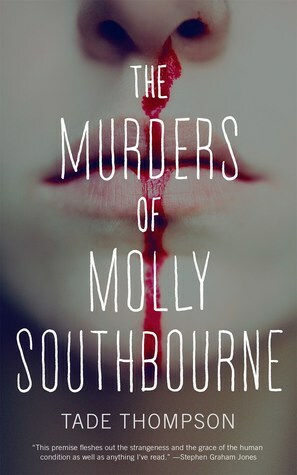 The Murders of Molly Southbourne by Tade Thompson looks so creepy and I can’t wait to read it, plus I’ve wanted to check out the author’s work for a long time. 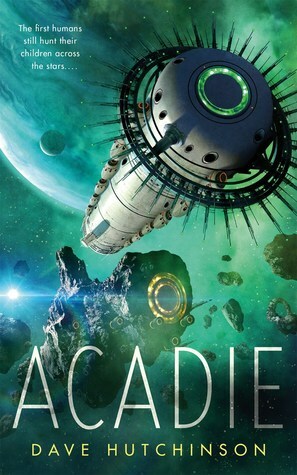 And talk about big things coming in small packages, Acadie by Dave Hutchinson is an exciting grand scale space opera in a novella-sized tale. 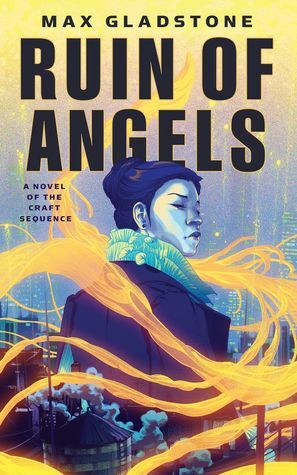 Ruin of Angels by Max Gladstone is billed as the sixth installment of his Craft Sequence, and while I still have the previous book to read, you can be sure I’ll be tackling this one as soon as I’m all caught up. 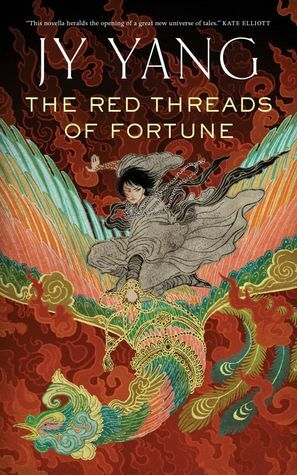 Finally, The Black Tides of Heaven and The Red Threads of Fortune by J.Y. Yang are a pair of linked standalone novellas from a new series called the Tensorate. I’m simply gobsmacked by the beauty of these covers, and I anticipate the stories within will be just as delectable. Here’s a roundup of my reviews posted since my last update. 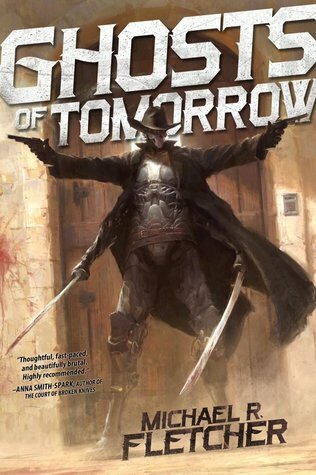 It’s been a pretty good couple of weeks, and coming out on top is Michael R. Fletcher’s brilliant and bloody cyberpunk thriller Ghosts of Tomorrow which takes the highlighted spot. The following are books I’ve “unstacked” from my shelves recently. Reviews coming soon! Night Magic is one I’ve been going back and forth- I did like the first one but my interest has waned a bit, I should read it though to see how it ends (or continues- not sure if it’s a duology or if there’s gonna be three), and Acadie I want to read. 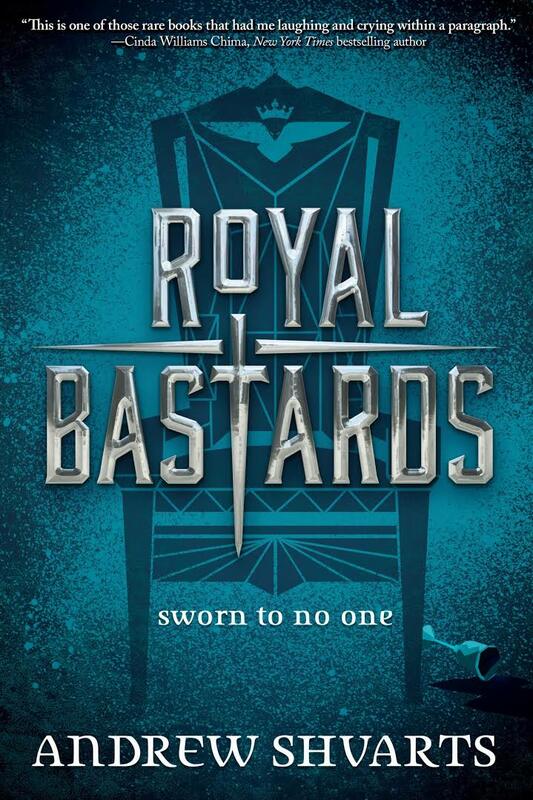 Royal Bastards too if reviews are positive. Yeah, Night Magic is one of those books I’ll read as soon as my reading schedule frees up a bit and I get some time – it can wait, but I’m also desperate to know what happens after that cliffhanger from book one! And Royal Bastards was a lot of fun! My review should be going up tomorrow. I’m really excited about that one! Probably one of my most anticipated books for the summer. You’ve certainly got plenty of books to look at! I like the covers for the Warlock Holmes books and the JY Yang books. Have a good weekend and a great reading week! I agree, those J.Y. Yang covers are gorgeous! I’m also really looking forward to starting the Warlock Holmes books. I’ll probably be reading the first one soon. 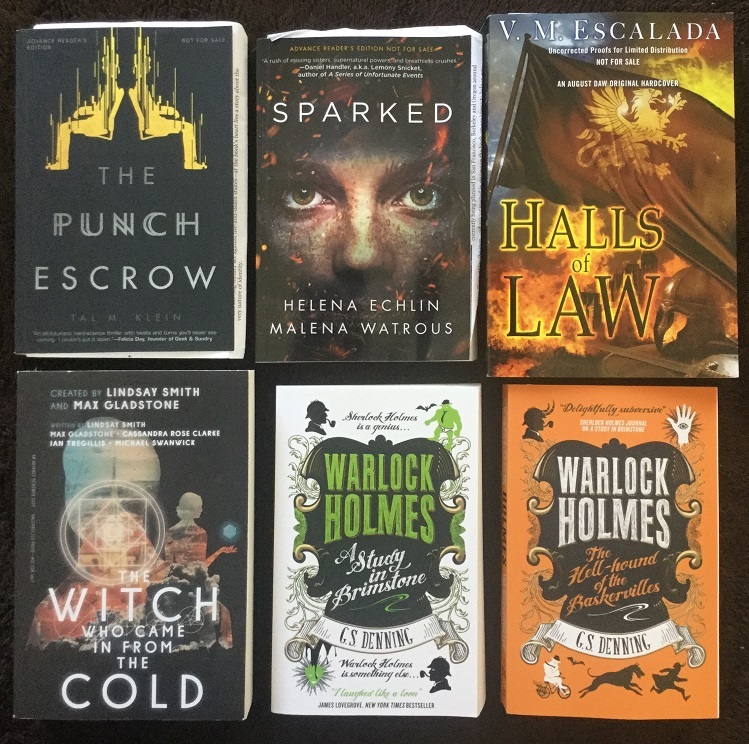 The books that really shout out to me here are the Warlock Holmes books – I really do fancy giving those a try. I see you’ve read Blood Oath – I look forward to your review of that one – was it as good as the first? Yeah, I’ve seen so much praise for the Warlock Holmes books, figures it’s time I give them a try 🙂 And Blood Oath was good! 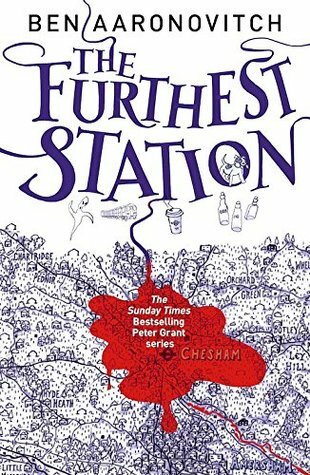 I probably liked it just slightly less than book 1, but it was a solid sequel that developed the characters’ relationship more. Oooh nice haul! Lots of new to me ones but I spy Night Magic! I cannot wait to read that one because I do remember there being such a killer cliffhanger in Nightstruck! It might have to be my next next read! I’m going to have to rearrange my reading queue again! Lol! Hope you enjoy all the new lovelies! I know, the ending of Nightstruck was insane! That alone is motivation enough for me to pick up Night Magic. I love YA horror, I wish there was more of it like this. Man, I am looking forward to your reviews of Children of Time, Vanguard and Dragonteeth. I loved loved loved Children of Time! But I think I told you already 😀 Dragon Teeth was also surprisingly good, though admittedly I hadn’t expected much. It was pretty decent for a “found manuscript”/posthumous publication though. Vanguard, on the other hand…I wish I could say I liked it more. Something about it just wasn’t doing it for me, I had to really force myself to finish it. It’ll be a 2 star rating from me, I just need some time to put my thoughts together before I start on my review. Hall’s of Law looks interesting. Can’t wait for your review. I agree, that was one of the more intriguing new discoveries for me this week! Yes, some beautiful ones in there! Tor.com has so many awesome new titles, right? The Punch Escrow looks great, I’ve added it to my Goodreads TBR. So many books! They’re not even mine but they’re making my head spin! I’m soooo curious about the found Crichton book. 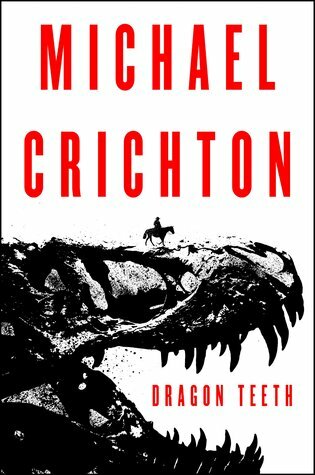 I will be veryyyyy curious about Dragon Teeth. Extremely resistant to read these “found” novels since I read his Pirates Latitudes… great idea for a story, but you could tell that it wasn’t complete. Maybe Dragon Teeth was different?! There’s quite a diversity of titles and so many look interesting! I think the first to jump out at me are the Warlock Holmes books because I’m a sucker for anything that plays with the Sherlock Holmes world. I’m also reminded that I need to pick up Penric’s Demon and get started on that series of novellas – LMB is the best! Looks like you’ve got all sorts of interesting reading ahead of you! I look forward to your reviews! I just started the first book of Warlock Holmes and so far I am loving it! I can tell it’s trying to emulate the source material, but at the same tim eit’s oh so funny with subtle jokes and humorous references. 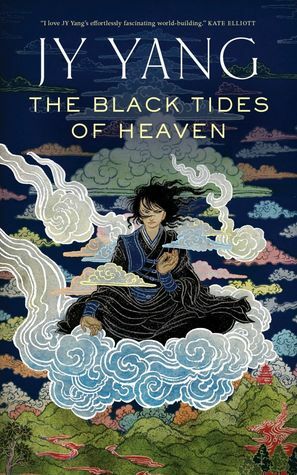 Also definitely pick up the Penric books if you can, especially if you like her World of the Five gods fantasy universe! I wish you were my neighbor. I would love to just steal from your bookshelf for the next few weeks. I need to get to the Penric novells so badly. The Warlock ones look good too. And the Yang novels have amazing covers, you are right. I wish you were my neighbor too! Or that my actual neighbors were more into SFF/books. I love to share my books and my love of reading, but no one I know in real life is into this stuff. Me either. My wife’s fantasy run started and ended with Harry Potter. And on the rare occasion someone finds out I like fantasy they suddenly want to talk about Wheel of TIme and Terry Brooks. ARG! I’m curious about them too! It’s also cool how both books will be released at the same time. Oooh, Firebrand! I’m really excited about that one, too. In fact, I think it’s coming out this week (? ), so my preorder should arrive in the next few days. Looking forward to reading your thoughts on it once you’ve read it. Ooh, grats on winning a Goodreads giveaway! I’ve pretty much given up on entering at this point, lol! The Waking Land is an awesome win too, I’m really looking forward to reading that one myself! And I’m hoping I can get to Firebrand – the first book was such a great surprise! I have to stop reading these posts – I always end up adding way to many things to my wishlist! 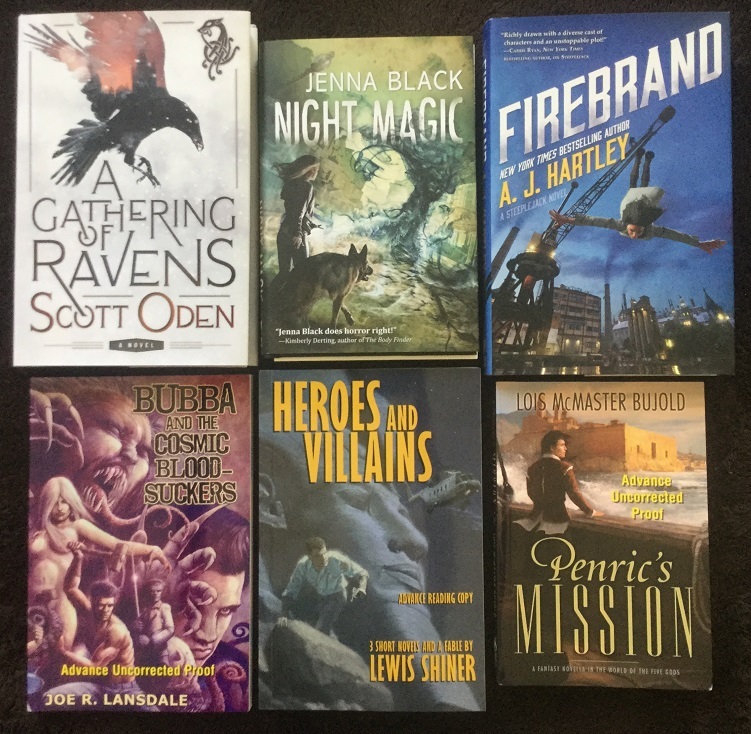 Yeah, lots of goodies coming out from Tor.com this summer and fall! The Tensorate covers really got me too. I hope the story is great. I’m looking forward to them and A Gathering of Ravens sounds awesome. I had to add that to my TBR. I always discover something I’d be interested in whenever I visit y’all’s blog. Yay, I’m always glad to put new books on people’s radars! And other bloggers are always putting new books on mine 😀 It’s a win-win!